Think about one thing… you’ve always wanted to do. Maybe you want to write a book… visit a foreign country... or order every single flavor at the ice-cream shop! We all have our own goals in life. In today’s story we’ll meet an animal who’s told over and over that he’ll never achieve his goal. And he’ll do whatever it takes to prove the naysayers wrong! Today, our tale is called “Armadillo’s Song.” Versions of this story come from Bolivia, in South America. 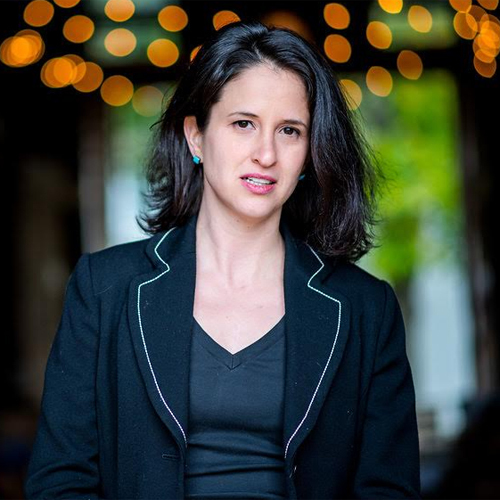 This story was adapted for Circle Round by Rebecca Sheir and edited by Executive Producer, Jessica Alpert. Original music and sound design by Eric Shimelonis. 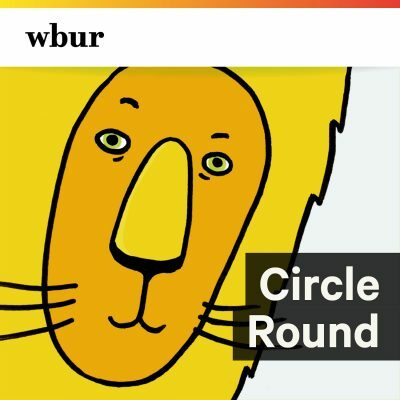 Circle Round's intern is Gabriella Mrozowski. Our illustrator is Sabina Hahn. Think about one thing you’ve always wanted to do. It can be something simple, like growing your own garden… or something wild, like taking a hot-air balloon ride across the world. Whatever it is, find someone you like to have fun with — a family member or friend — and tell that person all about your goal. Then ask your relative or friend to describe something he or she has dreamt of doing. After that, put your heads together and brainstorm ways you both can make your dreams come true. This member of the lute family is popular in the countries of the Andes Mountains: Ecuador, Peru, northern Chile, northwestern Argentina and, the nation where our story comes from, Bolivia. 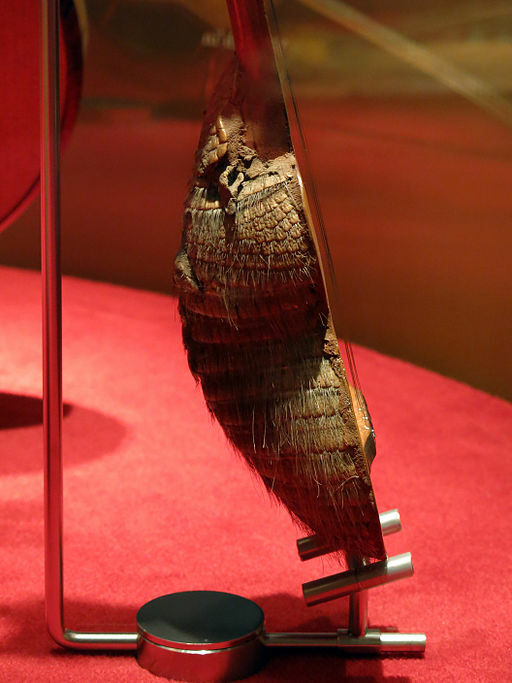 The charango was originally made from the shell of the armadillo, though modern charangos are typically made of wood. A charango player is called a charanguista. And if you’ve even seen the animal known as the “armadillo,” you’ll know why. Armadillos have four legs, a shovel-shaped snout, and a long tail. But most importantly, they have ‘armor’: a bony shell that covers most of their body. This armor is especially helpful when it comes to escaping predators. The armadillo rolls itself into a tiny ball, and is protected by its tough shell. But long, long ago… deep, deep in the rainforest... there lived an Armadillo who thought his armor was anything but cool. Why? Because so many of the other animals... made fun of it. MONKEY: (mocking) Hey, look! Here comes little armored one! MONKEY: ...but Armadillo’s stuck with that funny little shell! NARRATOR: Armadillo wished his shell could protect him from teasing as well as it protected him from predators. So most of the time, Armadillo stayed in his burrow, snoozing away. NARRATOR: ...and drag his shell out of his burrow… to eat. ARMADILLO: Hmmm… what do I feel like having? Some juicy beetles perhaps? A colony of ants? I know - how about some tasty termites! NARRATOR: But in Armadillo’s mind, the best part about foraging wasn’t the food. It was… the music he heard while looking for that food. ARMADILLO: (listening) Ooooh! The whistling and trilling of the parrots is especially beautiful today. (gasp) And there are the crickets! How do they chirp so gently? Ah! Here come the frogs croaking! Back and forth, back and forth - talk about a tight rhythm section! NARRATOR: You see, more than anything else in the world, Armadillo loved music. And, more than anything else in the world, he longed to be... a musician. ARMADILLO: Oh, what I wouldn’t give to be able to sing! If only I knew how! NARRATOR: Armadillo’s yearning grew and grew. Then, one day, he had… an idea. ARMADILLO: (gasps) I know! What if I ask the other animals to teach me how to sing? They’ll probably be so flattered that I asked! NARRATOR: So the next time Armadillo went out hunting for food, he paused beneath the palm trees where the parrots were whistling and trilling. ARMADILLO: Um, excuse me! Parrots? Parrots! Hi! I, uh, I have a quick question for you. NARRATOR: The parrots ceased their singing and peered down at Armadillo. PARROT 2: What is it, little armored one? ARMADILLO: Well, for a long time now I’ve been admiring your whistling and trilling. It’s so very beautiful, so I have to ask... can you teach me how to sing like you? NARRATOR: The parrots exchanged a look. PARROT 2: ...how to sing? PARROT 1: Surely you must be joking! PARROT 2: Everyone knows armadillos can’t sing! PARROT 2: … like a drum! ARMADILLO: Well, that’s not very nice. I was just asking a simple question. You know what? I’ll go ask the crickets. Their chirping is so wonderfully gentle. They’re bound to be more friendly. NARRATOR: So Armadillo scuttled over to a patch of ferns, where the crickets were chirping away. ARMADILLO: Hi there, crickets? How ya doing? Look, I’m sorry to bother you, but I have a quick question. NARRATOR: The crickets stopped their chirping and stared at Armadillo. CRICKET 2: What’s up, little armored one? ARMADILLO: Well, for a long time now I’ve been enjoying your chirping. It’s so lively and sweet, and I have to ask... can you teach me how to sing like you? NARRATOR: The crickets widened their eyes. CRICKET 2: ...how to sing? CRICKET 1: You’ve got to be kidding! 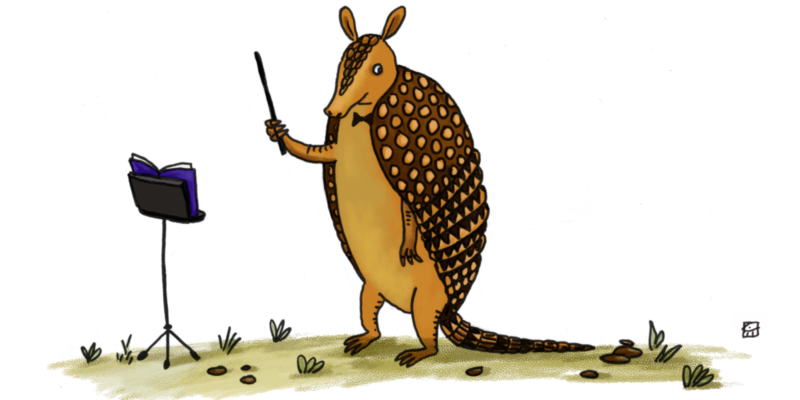 CRICKET 2: It’s a well-known fact that armadillos can’t sing! CRICKET 2: … like a marimba! ARMADILLO: Huh. So much for “gentle.” That was downright rude! But I’m not giving up. I’ll go ask the frogs. Maybe they’ll be more willing. NARRATOR: So Armadillo made his way to the edge of the water, where the frogs were croaking back and forth as they lounged on lily pads. ARMADILLO: Hey, frogs! How’s it hangin’? Listen, I wonder if I could ask one quick question? NARRATOR: The frogs halted their croaking and gazed at Armadillo. FROG 2: What can we do for ya, little armored one? ARMADILLO: Well, for a long time now I’ve been spellbound by your croaking. The rhythm, the pacing, the musicality! I have to ask... can you teach me how to sing like you? NARRATOR: Well, knowing what you know about how the parrots answered Armadillo’s question… and the crickets… I’ll bet you can guess what the frogs had to say. FROG 2: ...how to sing? FROG 1: You must be pulling our leg! FROG 2: A singing armadillo? Yeah, right! FROG 2: … like a maraca! NARRATOR: Armadillo hung his head. ARMADILLO: Wow. Maybe they’re right. Maybe this silly shell is the best I can hope for. I’ll never be a singer. Never. NARRATOR: ...he heard a voice! TURTLE: I wouldn’t be so sure about “never,” little armored one. Stick with me, and you’ll be a singer… forever! NARRATOR: What do you think the voice is talking about? And whose voice is it? We’ll find out… after a quick break. NARRATOR: Then they cracked jokes about Armadillo’s shell, and how he should use that to make music. Armadillo was about to give up, when he heard... a voice. A voice that told him he could, indeed, be a singer… forever! NARRATOR: Armadillo watched as out from under a bush… crawled an old Turtle. TURTLE: I mean exactly what I say, Armadillo. You can be a singer forever. The answer… is in your shell. NARRATOR: Armadillo rolled his eyes. ARMADILLO: Oh, I get it. You’re making fun of me, just like everyone else was! (imitating those who were mocking him) “Oh, Armadillo! Use your shell as a drum! Or a marimba! Or a maraca!” (to Turtle) Sorry, but uh, I’m not interested in that. TURTLE: Armadillo - look at me! I have a shell, too! The last thing I would do is make fun of yours. ARMADILLO: Huh. You’ve got a point there. So, what’s all this about using my shell to sing...? TURTLE: Tell me, Armadillo. What is it about music that you love? NARRATOR: Turtle’s question made Armadillo’s heart flutter. ARMADILLO: ‘What is it about music that I love’…? Gosh. What is it about music that I don’t love? Well… I love how music can take a heavy heart, and make it light. I love how music can take everything you feel inside, and bring it to bright, beautiful life. I love how music can last just a few moments, yet live on... forever. Does that answer your question? TURTLE: It does, Armadillo. And you’ll be able to do all those things and more… thanks to your shell. ARMADILLO: Okay, Turtle, now you’ve lost me again. TURTLE: Listen, Armadillo. Here’s what I want you to do. Go on, live your life, and come back to me when you are very, very old. Then, and only then, I promise I will help you make music that, like you say, ‘lives on forever.’ But for now? You must continue to enjoy the music of others. Are you okay with that? NARRATOR: Armadillo thought about the parrots, and the crickets, and the frogs, and how they’d made fun of his shell. But then he thought about their beautiful music… and Turtle’s promise that, one day, he would make music like that, too. ARMADILLO: Alright, Turtle. I can be okay with that. Over the years that followed, Armadillo put up with his share of razzing about his shell… but it didn’t bother him. Not when he knew that, someday, that shell would help him make glorious music. Eventually, Armadillo grew old. His claws hurt, his snout ached, and it was getting harder and harder to drag his armor around to go foraging. One day, as Armadillo was about to go back to his burrow and rest, he heard a familiar voice. TURTLE: Hello, little armored one. NARRATOR: Slowly, Armadillo turned around, and smiled at his old friend. ARMADILLO: Hello, Turtle. Is it finally time to make music? TURTLE: It is finally time to make music. Return to your burrow, go to sleep... and we can begin. NARRATOR: So Armadillo did as Turtle said. He went back to his burrow and snuggled in tight. He fell asleep with a smile on his face… and never woke up. The next day, Turtle took Armadillo’s shell, and polished it ‘til it gleamed. Then she took a set of guitar strings, and strung them across the shell’s hollow side. She attached a long wooden neck with tuning pegs at the top, and created the very first charango: a Bolivian guitar that makes bright, beautiful music, bursting with life. Before long, many, many musicians were playing the charango, all across the land. Eventually, most charangos were made of wood — not armadillo — but they were decorated to look exactly like that tough little shell. Oftentimes, the charango’s music would reach the rainforest. And when it did, the parrots would cease their whistling and trilling… the crickets would stop their chirping... the frogs would halt their croaking… and every single animal would sit… and listen… to the little armored one… who had learned to sing, at last.